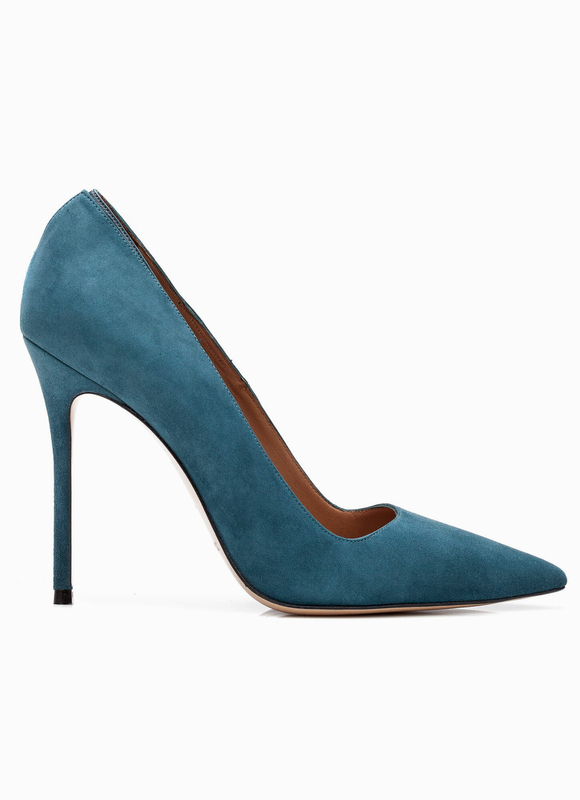 High heel pointed toe pumps in petrol blue suede. V-cut at back with petrol blue leather. High stiletto heel measures 11 cm approx. Petrol blue suede upper. Petrol blue leather.